high-quality aluminum, for curtains of every kind and size. 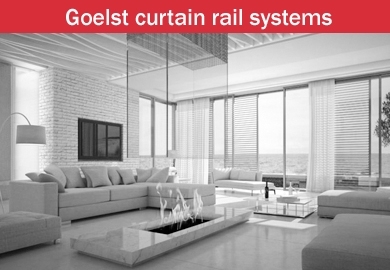 Goelst offers versatile curtain rails, suitable for all ceiling and wall types. Our various rail profiles can be used for light to heavy curtains, roman blinds, panel curtains and shower curtains. We also have hospital curtain rails! 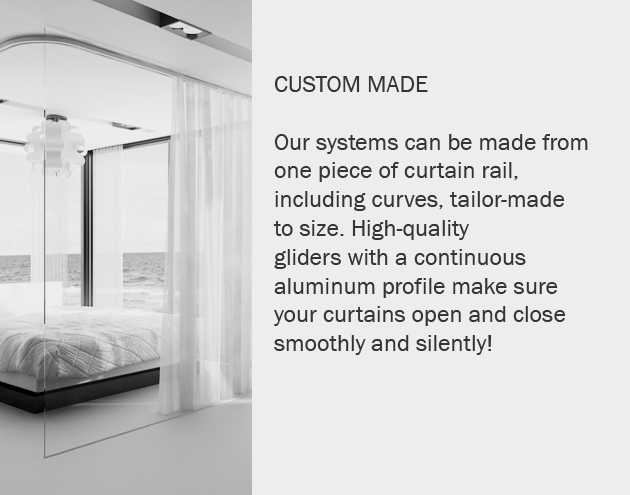 Automatic curtain rails give optimal luxury and comfort! Easy to connect to any home automation system. 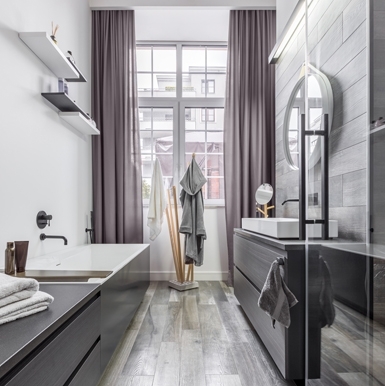 Goelst fits in every type of interior; modern or traditional. just make curtain rails, but perfectly coordinated systems. 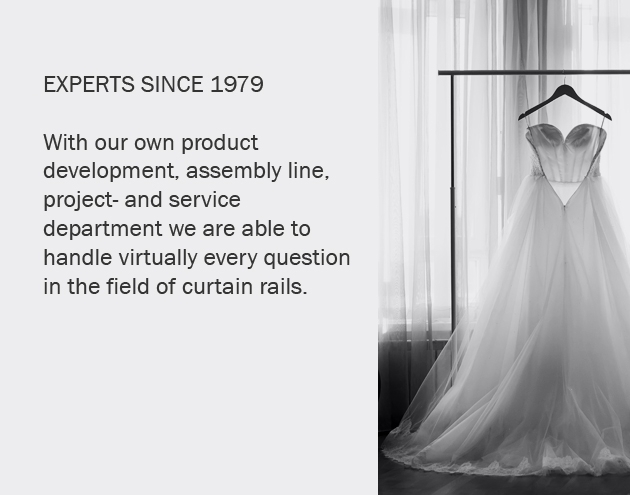 Since we have our own product development, installation, project and service departments, we are capable of handling nearly every requirement concerning curtain rails. 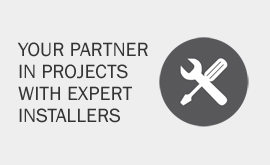 We supply total solutions where required and gladly accept your challenging custom order. You'll find our G-RAIL® products in hospitals, health care facilities, ships, hotels, luxury homes and in office locations. 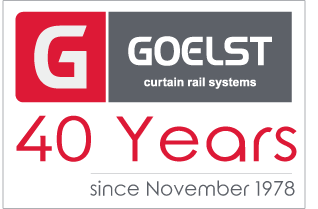 G-Rail makes Goelst the market leader in curtain rails. 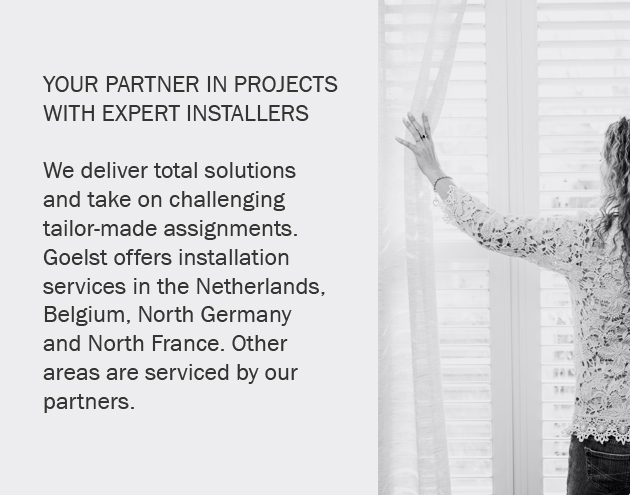 In addition to standard curtain rails, Goelst also supplies drapes, skylight systems and panel curtain systems. All these systems can be electrified for integration into any domestic automation system. 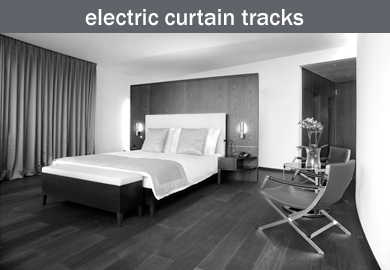 Goelst offers you flexible curtain tracks, suitable for any type of ceiling or wall. Our wide variety of rail profiles can be used for lace curtains, light curtains, heavier lined curtains and light-opaque fabrics. 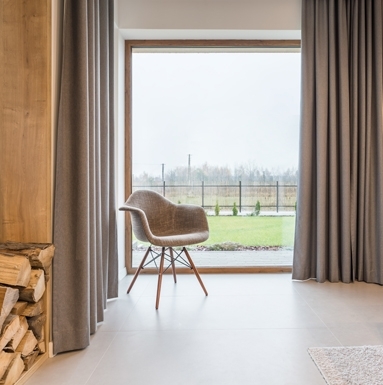 The elegant curtain system can be easily bent and fit into any interior requiring a stylish finish! Smooth opening and closing of your curtains! 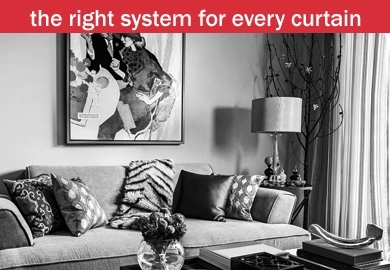 Our systems can be custom made for an entire room from a single piece of curtain rail, including bends. 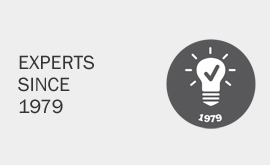 With this, we resolve the disadvantage of separate bends and malfunctioning rail connections. 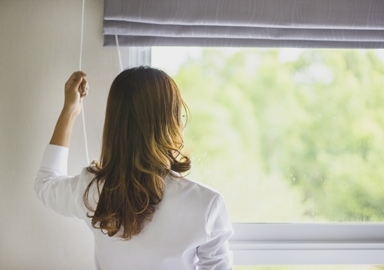 The combination of high-quality skids and continuous aluminum profile ensures that your curtains always open and close smoothly and silently! 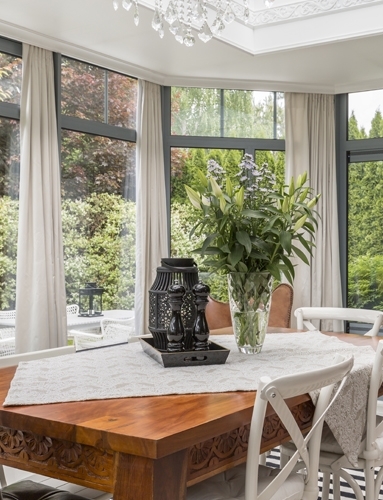 Do you have panel curtains, closing curtains or drapes? 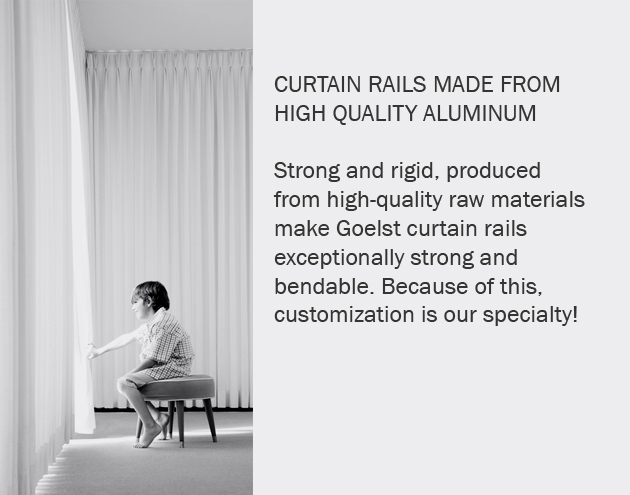 Goelst offers an appropriate system for every type of curtain. 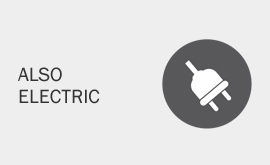 Operation of the curtains by means of cord, manually or electrically – all are possible. 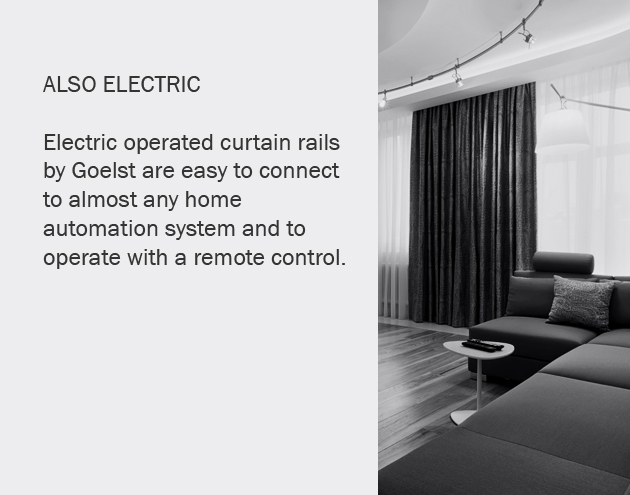 Goelst electrical curtain rails are easy to connect to nearly any domestic automation system and to operate with a remote control. 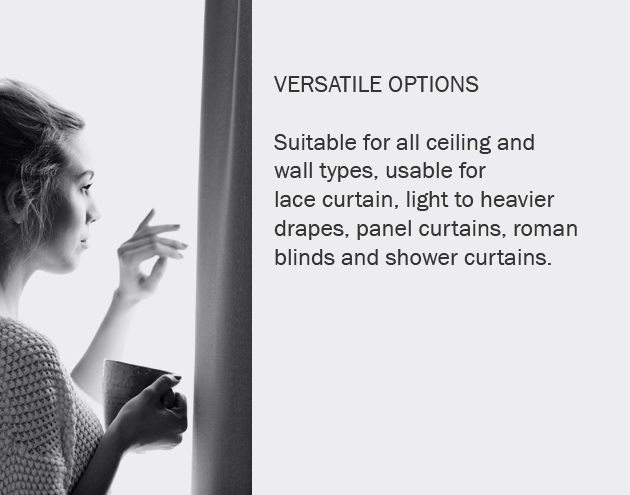 Automatic curtain rails provide luxury and comfort! Moreover, when you're away from home, you can simulate someone being home - a comforting thought. Electrical curtain rails can be used on a wide variety of systems for closing curtains, panel curtains and winter garden systems.